Wouldn't it be great to have paved parking right at the front door? 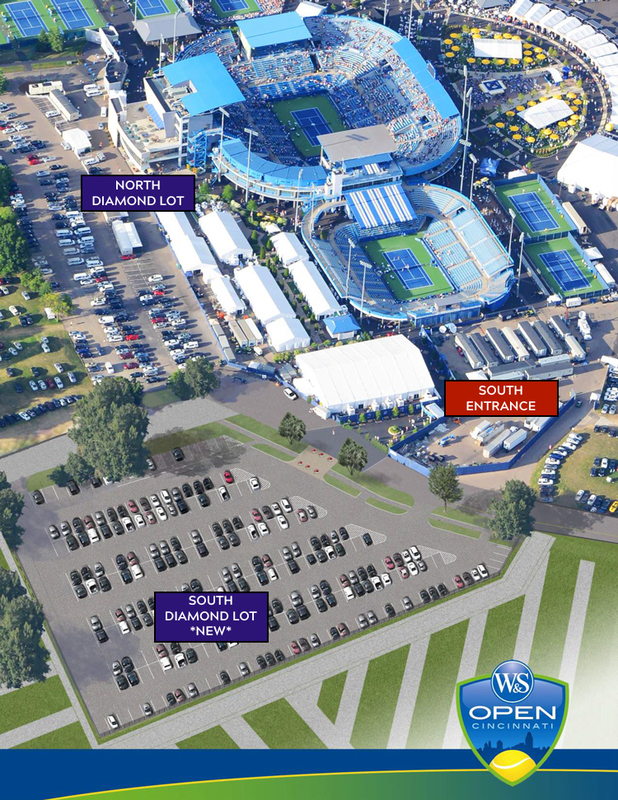 For your convenience, The Western & Southern Open has designated a limited number of parking spaces in a new Diamond Lot. Contact Ben Baumeister at bbaumeister@cincytennis.com or call 513-651-0303. $1,500 per parking space for entire 9 days of tournament, including all 16 sessions and all special events. You will have first rights for renewal. Diamond lot passes for single sessions are currently not available. The limited number of spaces will move quickly. Reserve yours today.